This month, Beacon Hill Partners is excited to host another exciting installment of Startup Stir. 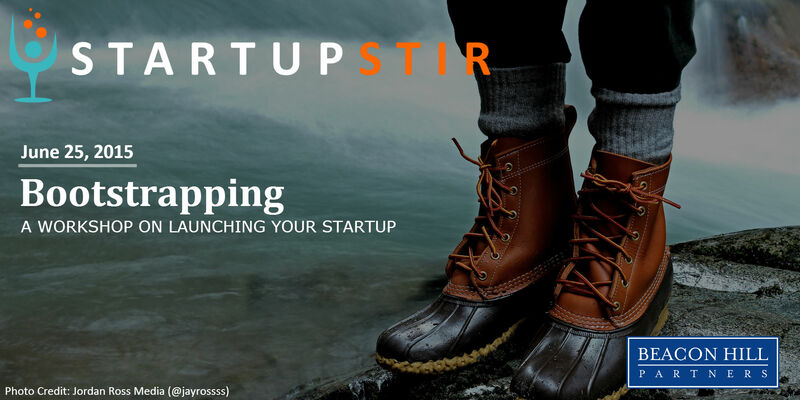 We’re sitting down with some experts and entrepreneurship and talking bootstrapping. This interactive and audience driven session will cover ground on creating a minimum viable product to testing iterations of your offer, guerrilla marketing, failing early and scaling up.